called on the head of a coalition of state law , Nuri al - Maliki on Saturday, the political partners to stand united to "thwart the plans" foreign targeting Iraq , warning that foreign interventions aimed at creating a state of internal fighting , "will not escape from him one". 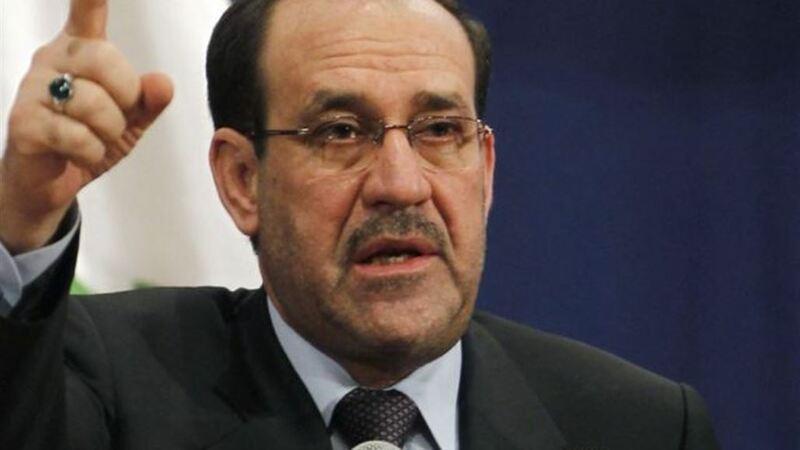 Maliki said in a statement received by Alsumaria News, a copy of it, "Under the difficult circumstances experienced by the country and under the polarization and interventions of regional and external and sedition aimed at the unity of Iraq and its people, we find it important that the brothers partners in the political process united in order to thwart those schemes, The political and economic crisis facing us at the current stage. " He added that "external interventions aimed at disrupting the structure of Iraqi society and creating a state of conflict and internal strife will not be saved by anyone and will not yield any fruit without disappointment and loss and regret and the great responsibility before God for blood and lives and the destruction of the homeland and the threat of its security and sovereignty. The importance of caution from trying to plunge the country into those conflicts and to prevent direct intervention and negotiation acting to mobilize one party against another, and I regret that brothers listen to the path and fate to their schemes that appear supportive of them, despite the knowledge that it is devious and deceptive to all. "I say to all brotherhood of national principles and interests that you do not hear the voice of strife, which is woven by external forces to be dyed with the blood of the people, and I say frankly we will not go in the direction that regional and major countries want and we will not allow the simplest weapon in the sons and brothers of one country, I invite you to listen together in sincerity sessions and Iraqi dialogue, in order to build the nation and rebuild what was destroyed by terrorism and achieve political harmony, which will be key to security, economic and social stability and the start of work and building and services to our people happy.